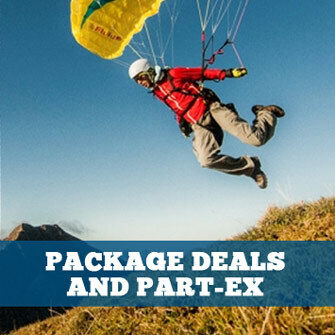 Reserve bridles for emergency reserve parachutes (reserves) for paragliding (PG), hang gliding (HG), free flight, paramotor / paramotoring / powered paragliding (PPG), powered hang gliding (SPHG) or FLPA (Foot Launched Powered Aircraft). Advance Steerable Reserve Tube for the Advance EASINESS 2 harness. This Y-shaped reserve bridle is designed to connect a single riser rescue parachute to the shoulder straps of your harness. 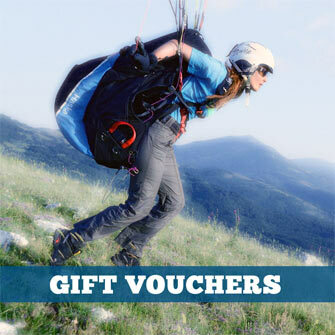 The bridle is covered to protect the webbing from UV, and comes in two sizes - 125cm or 155cm. Extension kit by High Adventure for attaching Beamer 3 reserve bridles to front reserve containers other than the Gstar Front Reserve Container. Light Dyneema tandem reserve bridles by Kortel Design. A pair of twin tandem reserve bridles, with stitched loops at each end, to connect the tandem paragliding reserve parachute to the tandem spreader bars.